Does LimeChat come with any hidden features or easter eggs? Q. Does LimeChat come with any hidden features or easter eggs? Yes. 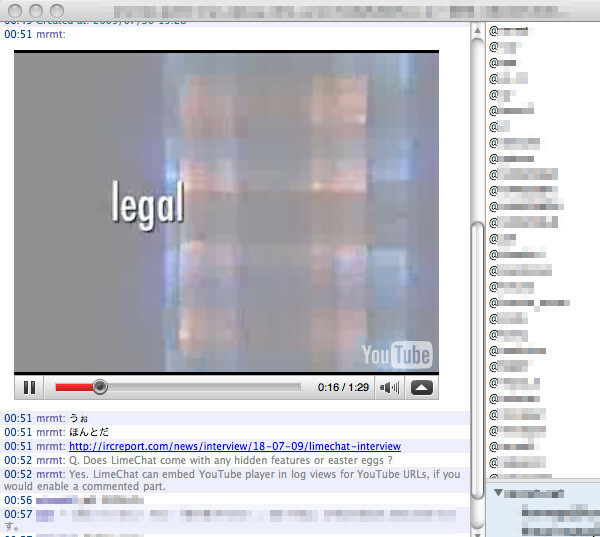 LimeChat can embed YouTube player in log views for YouTube URLs, if you would enable a commented part.